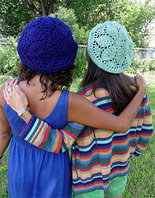 Last week (or so) I got a press kit from Debbie Stoller’s new yarn line, Stitch Nation. 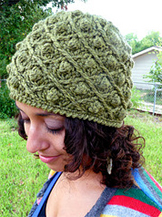 The line is full of yarns made from natural fibers by none other than Coats and Clark. I’m loving that they are finally incorporating natural fibers into their yarn line, as I find them so pleasant to work with. What’s really great about these yarns is that you get 155-177 yards/skein for around $4.99, hence the tagline: “100% natural, 100% affordable”. 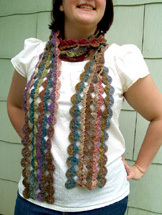 All of the yarns are worsted weight which means you’ll be able to find tons of patterns they’ll work with. And most exciting: they come in lovely, bright colors. Finally!!! It’s about time! Full O’ Sheep: 100% wool. 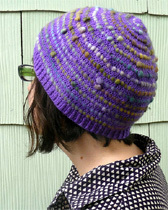 This (and all of the yarns) comes in great colorways and is perfect for felting. 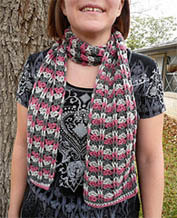 To see some felted results, check out this post on Ellen Gormley’s blog. I like that it’s a single ply yarn that’s kind of lofty (it makes me think of Brown Sheep Wool)–this is rare for most craft yarns. Single plys give great stitch definition. Alpaca Love: 20% Alpaca, 80% Wool. Naturally, what you feel the most of in this yarn is the wool, but it’s great that C&C blended in that 20 percent of luxury, and you can see some of the longer alpaca fibers floating about. Alpaca is three times warmer than wool, so this is a good yarn for those of you in colder parts of the country. Bamboo Ewe: 55% bamboo, 45% wool. This one is noticeably softer than wool/alpaca blend, but still has a lot of wool in it, which is great for warmth and strength. I decided to give the Bamboo Ewe a spin since I liked the color and the softness of it, and because San Antonio was at its coldest temps in 20 years and my studio has 4 big windows in it (brrrr). I whipped up these fingerless mitts in an evening. 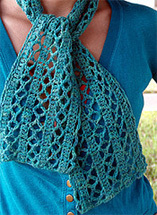 The pattern is Hooked on Owls (here’s my project page), a 99 cent pattern on Ravelry–I ended up only using the owl cable part of the pattern, and recommend that you have some crochet experience if you want to tackle the rest of it as there a few glitchy areas. The yarn was soft and smooth, and fun to work with, but these will probably go into my gift pile because of my sensitivity to wool. I love the button eyes. I searched through my stash to get that radiating effect. I’m excited about (hopefully) being able to design with these yarns for future issues of Crochet Today. 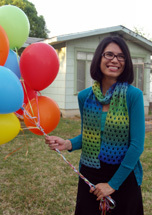 The yarn line also looks to have excellent pattern support for both knitters and crocheters- they sent me the cutest free pattern for a knit Cabled Chapeu, and a crocheted Taffy Pull Scarf. 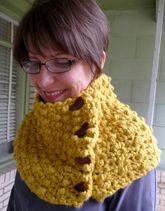 That’s the other thing I love about Coats, they have been such big supporters of crochet. 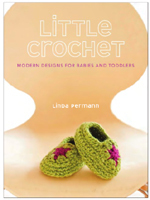 I love that they are passionately commited to crochet! If you’re interested in checking out the yarn, head over to Stitch Nation (and check out this cute video, too!). It should be available in Joann’s stores in the near future. 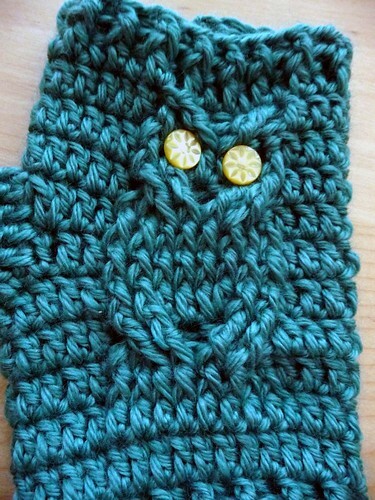 I was wondering what pattern you used for the glove itself since you only used the owl cable part from the designer's pattern. 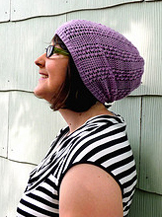 I really just kind of made it up-- basically you can just make a column/tube of stitches. I followed the pattern but didn't do any of the increases....hope that helps. 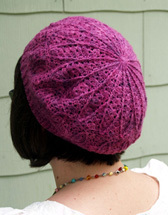 There are lots of patterns on ravelry though, if you want something more specific. 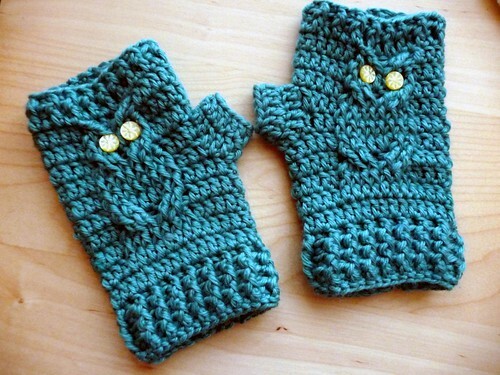 I am now DYING to make these owl gloves. So cute! 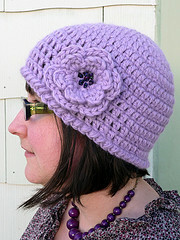 I also scored some of the Stitch Nation yarn from Joann.com. I loved it and I tried to order more, but the site wasn't working. :/ I'm sad that I'll have to wait for February. I love that the "Full O' Sheep" is one ply; that's my favorite kind. Can't wait to felt it. 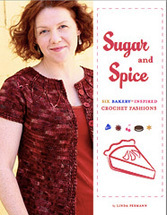 Vickie was just telling me about this yarn, sounds fun. 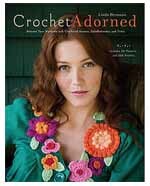 You would be so proud I am taking a crochet class this month so I can soon fully utilize my copy of Crochet Adorned! 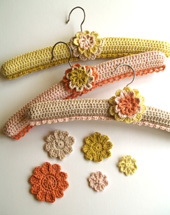 Wait, these are crochet? 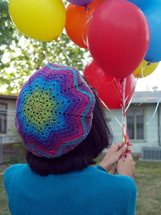 I had seen a similar pattern on Ravelry, but they were knit - so glad there's a crochet version that I can do. Except that I have fingerless gloves, and I find I really need the fingers on them!